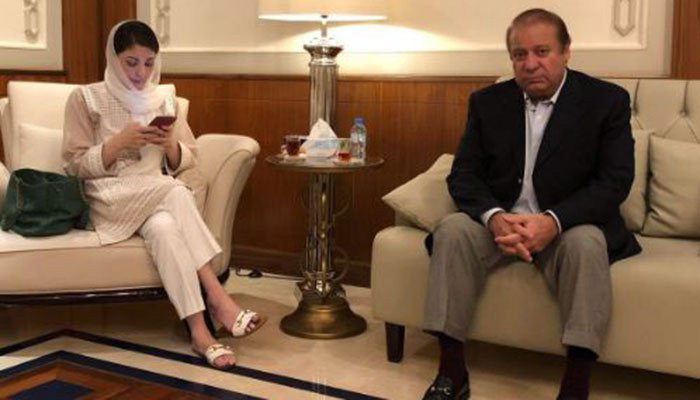 Former prime minister Nawaz Sharif and his daughter Maryam Nawaz will arrive in Pakistan today, a week after the two were sentenced in the Avenfield reference. Nawaz and Maryam departed from London late Thursday and are presently in Abu Dhabi, from where they are expected to reach Lahore after 7pm. The National Accountability Bureau (NAB) has disclosed that it has arranged two helicopters, expected to shift the father-daughter duo to Adiala jail in Rawalpindi as soon as they land. NAB has also deployed two teams each at Lahore and Islamabad airports for this purpose. NAB Chairman Justice (retd) Javed Iqbal has warned that strict action will be taken against anyone who obstructs the arrest of the PML-N leaders. The PML-N, however, has claimed that it will only take out a peaceful rally at the airport to welcome its leader. Interim Punjab Home Minister Shaukat Javed addresses a press conference in Lahore urging the PML-N workers to refrain from taking the law into their own hands. 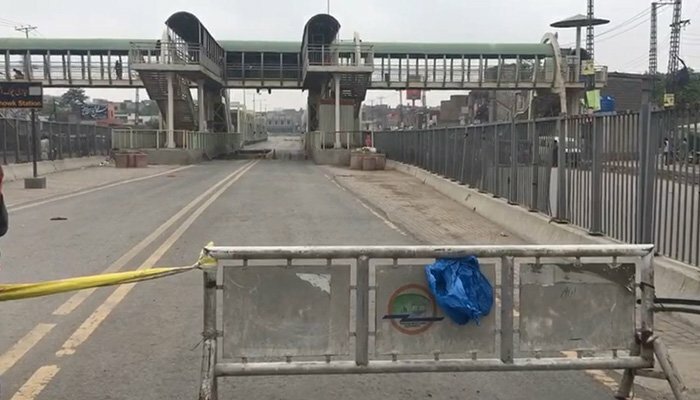 Javed clarified that strict action will be taken if people try to cross Abdullah Gul interchange near Lahore Ring Road, which gives access to Allama Iqbal International Airport. Nawaz Sharif’s and Maryam’s flight from Abu Dhabi to Lahore has been delayed by one and a half hour and will now arrive after 7pm. 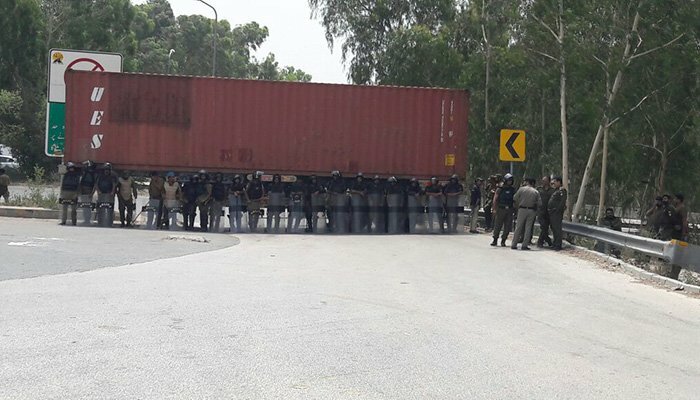 Containers have been placed at various roads and cross sections, while roads leading to the airport are expected to be blocked later today to deter the PML-N rally. Section 144 has been imposed across Punjab. A vehicle for prisoners has already been parked near Ravi Toll Plaza. A large contingent of the police has been deployed at the Allama Iqbal International Airport with airlines advising passengers travelling abroad to reach the airport at least six hours prior to departure. The Metro bus service in the city has also been suspended. 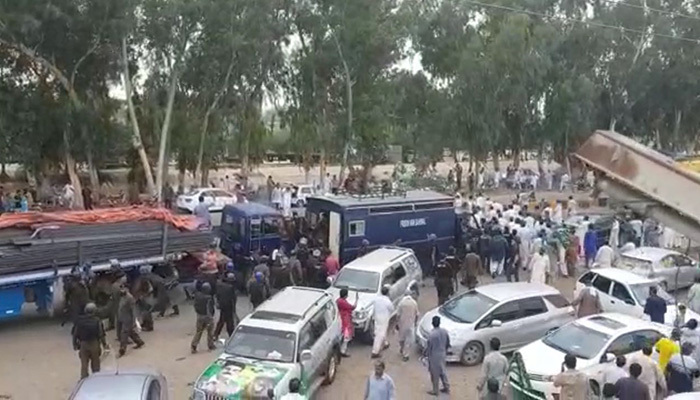 A PML-N convoy headed to Lahore from Sahiwal has been stopped by police. The convoy is being led by former minister Nadeem Kamran. According to reports, there was a clash between PML-N workers and police when attempts were made to arrest Kamran. In Faisalabad, the PML-N rally headed to Lahore was also stopped. The PML-N rally which left from Peshawar this morning has arrived in Chakri in Rawalpindi. 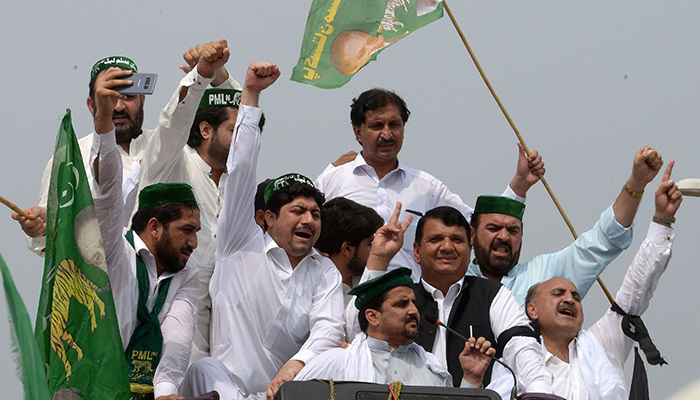 The rally is being led by PML-N Khyber Pakhtunkhwa president Ameer Muqam. The Lahore deputy commissioner (DC), in a letter to PML-N President Shehbaz Sharif on July 12, highlighted that the party has not applied for permission for today’s rally. The DC stated that any rally or gathering would be in violation of several government rules and the PML-N would be held responsible in case of any untoward situation in the present security environment. PML-N leaders including Hamza Shehbaz along with party workers have started gathering at the Lohari gate. It is expected that they will head to the airport in the form of a rally from here led by PML-N president Shehbaz Sharif. There are reports of disruption in mobile phone and internet services across Lahore. The provincial government had made a request to the Ministry of Interior to suspend mobile services in the Airport, Walled City, Shahdar, Hadiara and Nawaz Town areas of Lahore from 3pm-11pm. The Punjab Police has issued ordered to detain senior Pakistan Muslim League-Nawaz (PML-N) leaders, including former federal railways minister Saad Rafique. 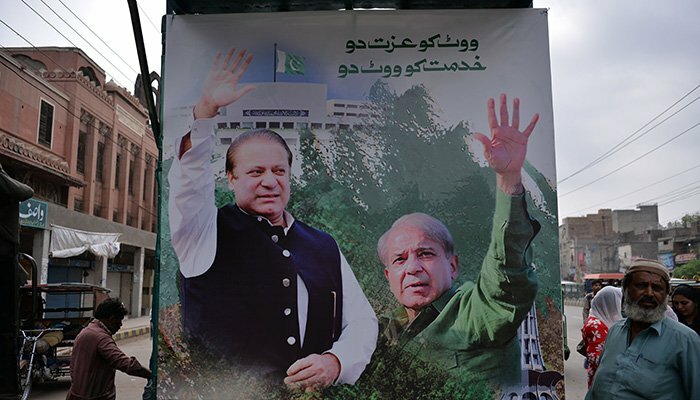 The caretaker provincial government has been arresting dozens of PML-N supporters and leaders since earlier this week in a bid to thwart the party’s plans to welcome PML-N supremo Nawaz Sharif and his daughter who reach Lahore later today after being sentenced in the Avenfield properties reference. 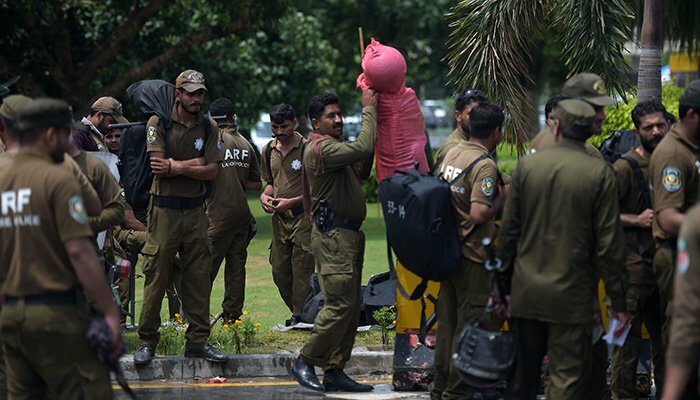 According to Geo News, Punjab Inspector General of Police Kaleem Imam has written to the Lahore deputy commissioner ordering the detention of seven PML-N leaders and one’s house arrest for 30 days. Apart from Saad Rafique, the party leaders include his brother Khawaja Salman Rafique, Mian Marghoob, Bilal Yasin, Khwaja Imran Nazir, Malik Saiful Malook and Waheed Alam Khan. Moreover, PML-N’s Haji Rana Bakhtiar has been ordered to be placed under house arrest. The order states that the PML-N leaders’ speeches and actions may disturb law and order in the city. 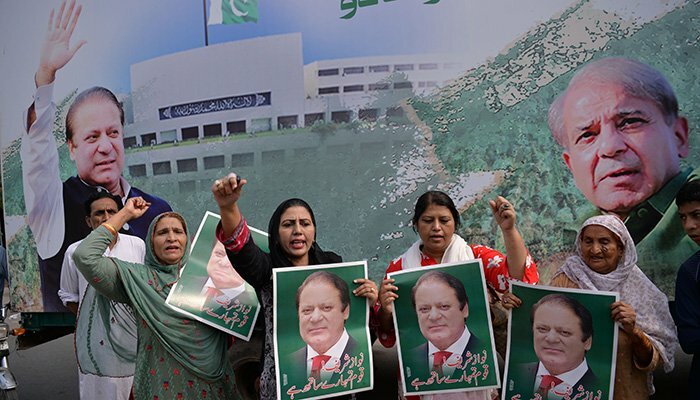 The Lahore High Court (LHC) on Friday ordered the release of PML-N workers illegally detained by law enforcement agencies by 2pm today. According to PML-N President Shehbaz Sharif, around 400 workers have so far been detained and arrested from Lahore and Rawalpindi. Shehbaz has slammed the interim Punjab government for the arrests of workers from Lahore ahead of party supremo Nawaz Sharif’s return, terming the arrests “naked pre-poll rigging” in a press conference yesterday. Hearing a PML-N petition against the arrests today, Justice Anwarul Haq inquired from the provincial home secretary and police chief if they had a list of the detained individuals. The home secretary responded by saying that 141 individuals had been arrested. The court then ordered the home department to immediately present the list of detained individuals. “Any actions that disturb the system should not be taken,” the court noted. The IGP then informed the court that the arrests were made on account of terrorism.